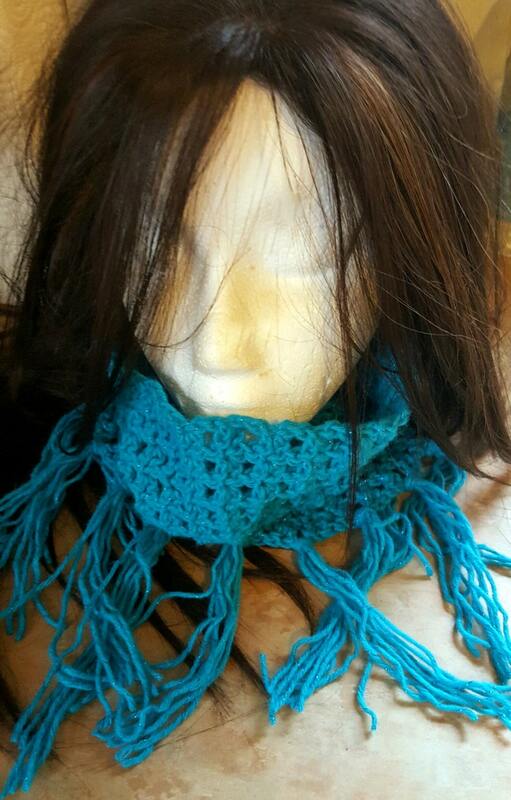 This is a shorter cowl that will keep your neck quite warm. It is crocheted, as well as the matching fingerless gloves. The cowl has a lovely fringe hanging from the bottom. The yarn is a beautiful blue with glitter blue metallic threads running through it.